Poor Premier Hancock. Remember him. He tried to pull off the “bread and circuses” gambit—and kicked over a hornet’s nest. The phrase “bread and circuses” was coined the Romans. It refers to the political strategy of distracting the population from failed government policies and inadequate leadership with “bread” (trivial benefits) and “circuses” (amusement). Mr Hancock hoped to distract Albertans from the government’s inability to make any headway whatsoever on major issues (healthcare, environment, education, justice, a $17 billion debt by 2017) with a circus. Out of the blue Mr Hancock and his side-kick Mr Griffiths announced that Albertans would be getting a nifty new licence plate and they’d be allowed to vote for their favourite designs, lucky us! Each of the designs features mountains, prairies and sky. 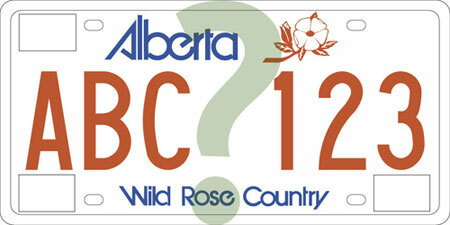 None of the designs includes Alberta’s 30 year old slogan—Wild Rose Country. It will be replaced with alberta.ca (try googling that at 80 kpm). Our floral emblem, the Rosa Acicularis (commonly known as the wild rose) would also disappear. This circus will cost $15 million (half the cost of upgrading the mouse, mould and asbestos ridden kitchen at Foothills Hospital) and a $5 hike in annual registration fees. Did the “bread and circuses” gambit work? You bet it did. But not exactly the way the Tories expected. The public flocked to the government’s website to check out the new plates. The site received 500,000 hits in one day. This is an all time record and five times more than the hits generated by the June 2013 flood. A recent Insights West survey shows that more Albertans (60%) are following the Great Plate Debate than actually voted in the last election. Albertans also questioned the government’s motives and integrity. Was this a petty attempt by the Tories to stop giving the Wildrose party free publicity? Why yes it was. * Although most Albertans didn’t make the connection until the PCs made it for them. Albertans wondered whether we were bereft of competent designers. The design was produced by an American firm and according to a sharp-eyed Albertan is a knockoff of Montana’s Sweetgrass Hills. Great, now we’re plagiarizing another country’s geography. The media fell for the gambit hook, line and sinker. The Great Plate Debate generated more media coverage than Albertans’ right to a fair trial (infringed by cuts to legal aid funding and changes to Traffic Court), the cumulative effects of environmental pollution from the oilsands and the $637 million in deferred maintenance required to fix up hospitals and clinics across the province. The Wildrose party is having a field day. They’ve set up an alternative licence plate design competition offering the successful designer a $500 prize and a contribution of $2500 to the charity of their choice. Does no one remember the Great Canadian Flag debate of 1964 where Canadians were invited to submit a design for a flag to replace the Union Jack? Ms Soapbox’s charming submission—a beaver sitting on a log—was rejected, likely because it looked like the beaver sitting on a log on the back of the Canadian nickel. Ms Soapbox was a child, forgive her lack of imagination. Mr Hancock’s attempt at “bread and circuses” backfired because it showed us how petty the PC party really is. However even a backfire is successful if it draws the public’s attention away from the critical issues facing the province—mounting debt, no long term energy strategy, inadequate healthcare, education, infrastructure—all of which are the direct result of years of inept PC government. And did you notice when the “circus” rolled into town? Right in the middle of the PC leadership race just when the candidates were busy floating promises of more schools, more roads, more hospitals and no debt in [fill in the blank] years…without answering the critical question—just how do you intend to pay for all this? This entry was posted in Politics and Government and tagged Alberta Licence Plate, Bread and Circuses, Hancock, Squirrel, Wild Rose Country, Wildrose. Bookmark the permalink. Great article Susan. Also, very sad, what a waste of money when so many other organizations and public services could benefit from the $15 million. That’s how much it will cost for the new license plates, right? Champs, you’re right, this little “circus” will divert $15 million from the capital budget that would be better spent improving schools, hospitals and roads. It also creates a new source of operating revenue—the $5 hike in registration fees which is roughly $14 million a year based on the 2012 stats (2.8 million licenced drivers times $5). Compare that to the pittance (“bread”) the government recently announced for the Eating Disorder Support Network of Alberta. The government is “committed” to providing EDSNA $165,000 over a three year period to assist people with eating disorders. A worthy cause that nets a grand total of $55,000 a year. Amazing. Thank you, Susan, once again!! These should all go viral and hope that inquiring minds will slip into gear!! Can’t afford Legal Aide but pushing new licence plates …… seriously?? Thanks Jane. Ditching a slogan that has endured for 30 years because some poor sot might think it’s free publicity for the Wildrose party is ridiculous. If the PC’s had an issue with a political party named “Wildrose” they should have addressed it in 2007 when the party was born, but they underestimated the population’s desire for change and missed their chance (which probably wouldn’t have succeeded in any event). This is all about a petty party worried about losing power. Pathetic. “..Great, now we’re plagiarizing another country’s geography.” Not for the first time; remember “we-screwed-up-alberta-admits-after-using-british-beach-photo-in-ads” from 2009? And, of course, where there’s smoke… wonder just how much of our public policy is recycled bits from other countries [for instance, on a larger scale, crime-busting policies that failed even in Texas]. Robots, do you think? Carol: ah yes, the British beach debacle. You’d think that the #1 requirement in the RFP for Alberta tourism would be “use an Alberta location” but it’s shocking that you’d actually have to spell it out for the contenders. I’m glad you raised the topic of crime, many criminal lawyers will tell you that Alberta’s crime busting policies are tracking Harper’s crime busting agenda. And as you point out, it doesn’t work. Seems to me the game here isn’t reduce crime but pander for votes. Sadly it seems to be working. We need to start thinking about these issues from an evidence-based perspective, not an ideological/emotional one. “Mr Hancock’s attempt at “bread and circuses” backfired because it showed us how petty the PC party really is.”… Indeed, and sadly the intense interest generated says something about Alberta’s hoi poloi too. Speaking of ‘bread and circuses’ ( well, ‘bread’ anyway) on a national level, have you seen Health Minister Rona Ambrose’ outreach to Canadians on proposed food label changes? Note that there is an option glaringly omitted from Ms.Ambrose’ labeling proposal; something, according to every survey/poll ever conducted, very important to the overwhelming majority of Canadians when it comes to the information they would like to see on their food labels. And thank you for responding with such generosity to my comment, which was linked to the subject of your excellent article by segue, at best; this is your soapbox, after all. You’re a good ‘un, and no error. Loved it, Susan. Your perspective is always spot on and the graphics definitely help to illustrate the message — brought some levity as well this one! Thank you. Mare, I’m glad you enjoyed the post. “Squirrel” about sums it up, doesn’t it. Susan ‘Panem et Circenses’ has worked for 40 years so I am not surprised they still like use it. This only tells the other side of the story which is the sad state of public interest and understanding of how our province is administered. Both sides have the lowest standards one can think of. In the meantime our schools continue to teach the boring memorizing of dates and events that teach close to nothing in terms of critical thinking and have a real understanding of what politics is all about. Not wonder the level of interest in the car plates is greater than when we have elections. The revelation this morning of so called ‘ghost booking’ by again our amazing Alison Redford and yet another possible money fraud case by Lise Thibault the ex-Quebec Lieutenant Governor, continues the relentless stabbing into the confidence of Canadians. Premiers, Mayors, Senators …etc. All caught with their hands in the cookie jar.They all know that despite the scandalous use and abuse of our treasuries, repetition works. Being shameless works even better and jail terms only apply to those who cannot afford a good lawyer. Anyway, back to the license plates – what a display of general brain decay in the government of Alberta. I am starting to think that we need a special independent team of scientists come to check the effects of tar sand leaks as far south as Edmonton and Calgary. It is insane. Carlos, you make an excellent point when you say the way we teach social studies, the “boring memorizing of dates and events”, fails to help students develop critical thinking or a real understanding of politics. The Alberta Education website sets out the Program Rational and Philosophy that underpins social studies for kindergarten to grade 12. It says that social studies “…is an issues focused and inquiry-based interdisciplinary subject that draws upon history, geography, ecology, economics, law, philosophy, political science and other social science disciplines.” It says the purpose of social studies is to allow students to develop the skills and knowledge to enable them to become engaged, active, informed and responsible citizens. Maybe so, but that doesn’t appear to be happening in practice if voter turnout is any indication of engagement and informed responsible citizenship. Sadly that leave the population at the mercy of Hollywood and political spin masters. Hollywood reinvents history to suit the needs of the box office. Movies like Ben Afflick’s Argo are a classic example. I wondered whether the latest craze for dystopian books and movies like The Hunger Games might alert the population to the use of Bread and Circuses. The final book of The Hunger Games trilogy actually hits the reader over the head with the revelation that the name of the country “Panem” is taken from the Latin phrase Panem et Circenses. But for whatever reason the audience isn’t translating what they’re reading/viewing into what they’re experiencing in their everyday lives. With respect to political spin masters…well what can I say…Jim Prentice is the next Peter Lougheed, right?